Nelson-Jameson, Inc. has the largest collection of reagents assembled exclusively for food & dairy testing laboratories. Reagent chemicals should be handled only by qualified individuals trained in laboratory procedures and familiar with their potential hazards. “Right to Know” laws make it mandatory that anyone handling a hazardous substance be informed of the health hazards and safety precautions associated with that chemical. Material Data Safety Sheets (MSDS) are provided by Nelson-Jameson as required by OSHA’s Hazard Communication Law for products designed as hazardous. Our automated system assures that you will receive an MSDS with your first purchase of that hazardous item. You may also contact us to request MSDS information on any of our products you are currently using. The absence of a warning, however, must not be interpreted as an indication of safety. 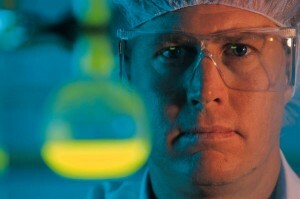 For more information on our Laboratory Reagents, click here. 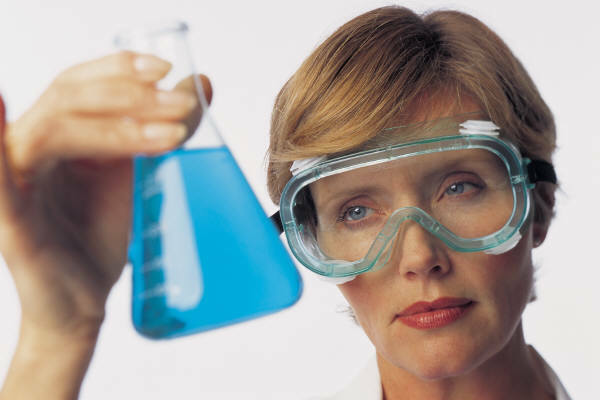 Material Safety Data Sheets (MSDS) are quite familiar to anyone working with hazardous chemicals in such environments as: labs, distribution warehouses, food operations, etc. The sheets describe “the physical and chemical properties, physical and health hazards, routes of exposure, precautions for safe handling and use, emergency and first-aid procedures, and control measures.” OSHA cites that these documents, along with labels and training in the workplace, are key elements in maintaining proper handling of hazardous materials in the workplace. It is also essential that employees are familiar with MSDS documents and know where to find them in your operation. In essence, the documents are meant to clarify and simplify the pertinent information for each hazardous chemical for employees. As an active inventory of all hazardous chemicals going in and out of an operation, MSDS assist in assuring both the safety of the workers and the security of any operation. When properly implemented, controls like MSDS are a part of creating necessary transparency for your employees and inspectors; an improperly implemented MSDS program can actually create headaches and liabilities down the road. Due to this, the more one is able to read, understand, and properly implement the standards set forth in state and federal law, the better. For updated information and language on OSHA’s Hazard Communication Standard, 29 CFR 1910.1200 click here. GHS stands for the Globally Harmonized System of Classification and Labeling of Chemicals. 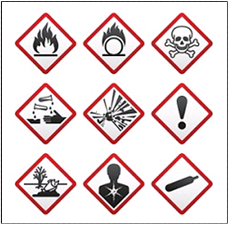 It is a global approach to identifying hazardous chemicals and communicating those hazards to workers via labels and material safety data sheets (MSDS). OSHA revised the current HCS to align with GHS principles and create new compliance obligations for everyone in the life cycle of hazardous materials. For example, if OSHA adopts its proposed changes, then chemical manufacturers will need to author new MSDSs and employers will need to update their entire MSDS library in a short time frame.